of academic and career -focused programmes, theUniversity is inviting applications for services as Online Tutors (E-tutors) on an independent contract basis. •Facilitate students’ interactions with their peers. •Provide students with academic and technical support. •Not be a Unisa Fixed Term or Permanent staff member. •Ongoing access to Internet connection at your own cost. •Minimum of an Honours Bachelor’s degree with a major in African Philosophy. •Own copies of software packages that may be required for teaching e.g. Internet browsers, word processing etc. be text based via myUnisa and discussion forums). •Not be entitled to any benefits such as medical aid, office space, equipment, leave (including sick leave), etc. in terms of UNISA’s conditions of service. •Provide your own infrastructure i.e. your own computer, your own Internet access and any other officerelated equipment. 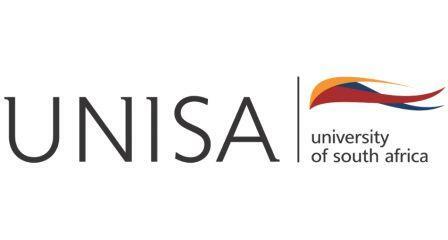 •Not be based at a Unisa campus or any location linked to the University. discussion forums, sending emails, etc for a minimum of 6 hours a week not exceeding a maximum of 24 hours a month (spread over a few days per week) to a total of 75hrs per semester. certified copy (within the previous six months) of highest educational qualification. certified copy (within the previous six months) of academic transcript. certified copy (within the previous six months) of your identity document/passport. certified copy (within the previous six months) of your valid permit (foreign applicants). Online training will start as soon as contracts have been finalised. Contracts will only be activated after the successful completion of training and allocation of students to the e-tutor. Allocation of students to e-tutors only occurs during the tuition period of fifteen (15) weeks per semester for all semester modules and thirty (30) weeks for year modules.